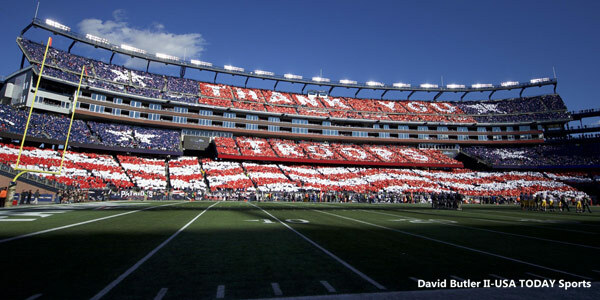 Monday marked the 16th anniversary of the September 11th attacks on the United States, and to remember and honor those who perished on that fateful day, many current and former members of the New England Patriots took to their social media accounts with personal tributes and reflections. This entry was posted in Patriots Photos and tagged Brandin Cooks, Chris Hogan, Joe Andruzzi, Julian Edelman, LaAdrian Waddle, Tom Brady on September 13, 2017 by Robert Alvarez. 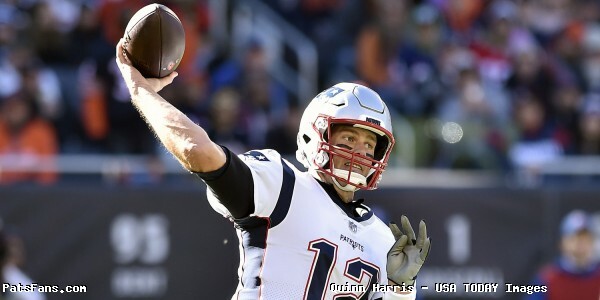 Heading into their Week 13 match up with the Los Angeles Rams, the New England Patriots were seeking their 14th consecutive 10-win season and one step closer to locking up another AFC East title. The Patriots received the ball first to open up the game, and not even four minutes into the first quarter they jumped out to an early 7-0 lead following LeGarrette Blount’s longest run of the season, on fourth down no less. Shake a DB real quick. With 13 rushing touchdowns this year, LeGarrette Blount is ONE score shy of Curtis Martin's #Patriots record (accomplished in '95 & '96). For the first time since October 23rd, the Patriots finally recorded an interception, and who better to do it than Malcolm Butler? First interception for the Patriots since the first drive against the Steelers on Oct. 23. After one quarter of play, the Patriots still lead 7-0. The Patriots had the ball to open the second quarter, and Brady drove the Patriots down inside the Rams 20 yard line setting up this beautiful tip-toe touchdown by Chris Hogan. Chris Hogan's third touchdown catch of the season. Set his career-high of four with Bills in 2014. The Patriots defense smothered Rams rookie quarterback Jared Goff as cornerback Logan Ryan recorded his first sack since 2013. Logan Ryan went to Jared. Another week of questionable NFL officiating following this controversial facemask non-call. Gillette's video boards have shown Trumaine Johnson throwing an open palm into Blount's facemask after fourth down. FOX Cameras captured this Matt Patricia twin in the Gillette Stadium stands. Kicker Stephen Gostkowski would tack on a 28-yard field goal and the Patriots went into halftime with a 17-0 lead. 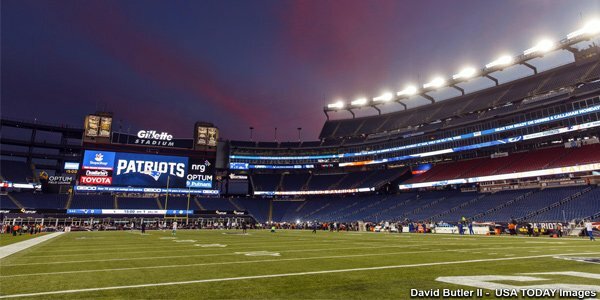 In honor of the Patriots 15th anniversary of the 2001 Super Bowl XXXVI championship, members of the team returned to Foxboro for a special halftime ceremony. Troy Brown took to the podium and delivered a heartfelt statement for the ages, echoing Red Sox legend David Ortiz’s famous marathon speech. Troy Brown, speaking to #Patriots fans, just had his (expletive) David Ortiz moment. You can checkout the full halftime ceremony at this link HERE on the Patriots website. With the second half underway, the game didn’t get any easier for Rams head coach Jeff Fisher. Seeking to challenge a catch, he struggled to find his red flag buried within his coat. Jeff Fisher had no idea where his challenge flag was. Almost launched a piece of paper from his pocket onto the field. Fisher would ultimately win the challenge, but it would only lead to a field goal. Rams still trailed 17-3. The Patriots would get the ball back, and “Minitron” Julian Edelman hauled in this 32 yard pass from Brady following an incredible dodge of the pass rush. The Rams have 92 total yards. Julian Edelman has 95 receiving yards. It was a long afternoon for the Rams. 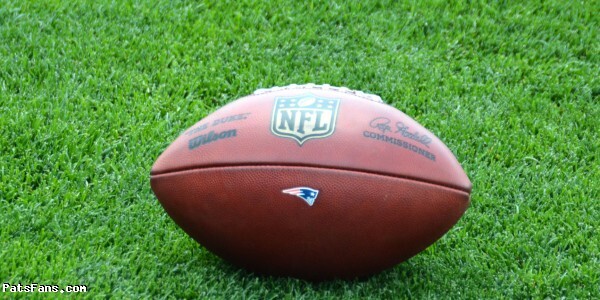 In the fourth quarter the Patriots were unable to find the end zone, but kicker Stephen Gostkowski had a terrific performance making all four field goal attempts, three of them from over 45 yards. 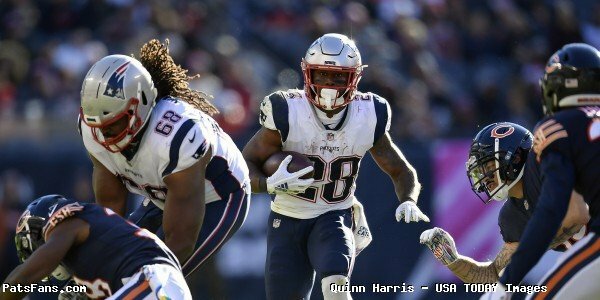 The Rams would tack on a garbage time touchdown with under four minutes to play but the Patriots would walk away with their tenth win of the season by a final score of 26-10. The #Patriots have reached at least 10 regular season wins in 14 straight seasons, joining SF (16) as the only teams to accomplish the feat. Jeff Fisher has now been outscored by the Patriots, 130-17, in the last three meetings. Should probably know your opponents buddy. Career victory number 201 for quarterback Tom Brady, the most all-time. 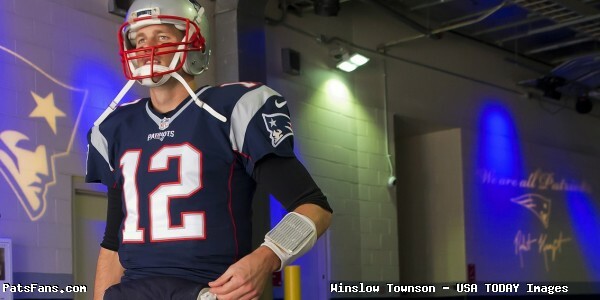 Tom Brady has 201 career victories, more than anyone in the history of the earth. This is usually where i post scoreboards but i want to take this chance to talk about 12. 201 is an incredible achievement and fitting of the GOAT. But in my mind what is so amazing about it is that he treats #201 just as if it was win #1. Greatness is a pursuit, not a destination. 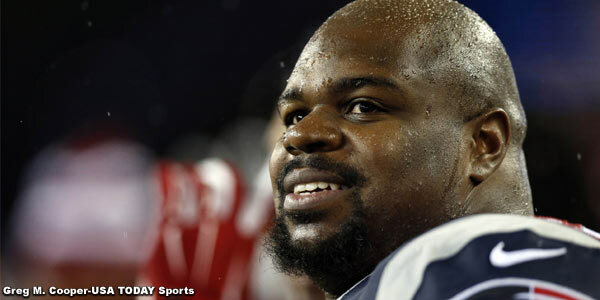 This entry was posted in Patriots Commentary, Patriots Photos, Patriots Video and tagged Chris Hogan, Chris Long, Drew Bledsoe, Jared Goff, Jeff Fisher, Jermaine Wiggins, Joe Andruzzi, Julian Edelman, LeGarrette Blount, Logan Ryan, Malcolm Butler, Matt Chatham, Matt Patricia, Rob Ninkovich, Sebastian Vollmer, Tedy Bruschi, Tom Brady, Troy Brown on December 6, 2016 by Robert Alvarez.